Grown both for the leaves and the seeds Fenugreek is used both in cooking in salads, soups as well as for medicinal purposes. It is most widely in Indian and African cuisines and it is also called Methi. It is mainly grown as an annual, the fresh young leaves have a mild taste, older leaves and dried varieties tend to be a little bitter. It is a plant that can also be used as a green manure crop, or grown for sprouts. 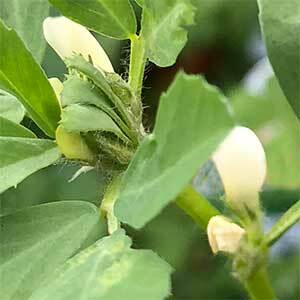 If you are growing Fenugreek for sprouts, they are ready to use in around three days. You will need fresh seeds, and these are best soaked for 12 hours before planting. The best time to plant is spring, although you can plant right through until autumn. Sow the seeds in containers for best results. Use a humus rich good quality potting mix. Rake over the surface to form a fine top layer. Sift over enough potting soil to cover the seeds. Germination should take plane within 4 – 8 days. The fresh young leaves are the best as they are not as bitter. You can let plants go to seed and collect seeds for next seasons crop if required. Common Name – Fenugreek, Methi Mathi. Height – to around 60cm. You can commence harvesting once plants reach 14 cm.